The law offices of Ronald E. Smith, P.C. 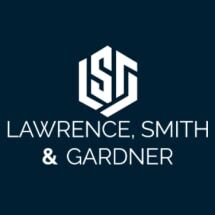 is a professional corporation in partnership with John S. Lawrence P.C., and Lance D. Gardner, P.C. together we have served the communities of Northern Virginia since 1980. We are a local firm dedicated to providing effective legal services to clients who have been charged with felony and misdemeanor crimes, DUI/DWI offenses, and traffic violations or who need help in filing for social security disability. We take a great deal of pride in the way we communicate with our clients. We will keep you fully informed and as involved in your case as you want to be. From the very beginning to the conclusion of your case, our 24-hour a day commitment ensures that we will provide you with the highest standards of responsiveness and service.